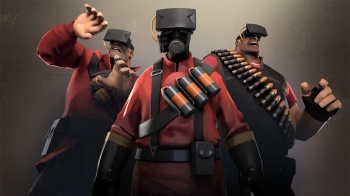 Valve fans can officially play third-party mods on Mac and Linux platforms, all while sporting a VR headset. Before Steam, Valve was best known for two things: The original Half-Life, and an impressive level of support for third-party mod creation. Entering digital distribution markets did little to change these practices, as can be attested by the Source mod community and the increasing number of titles using Steam Workshop content. Now Valve is expanding its Source SDK to include even more features for budding developers. Out of all the changes, two key points deserve special mention. The first is official support for Mac and Linux platforms, allowing modders to finally create content for each major PC OS. The second is support for the Oculus Rift, meaning anyone can feature virtual reality settings in mods made during their off-hours. There are other minor changes to the SDK that long-time mod creators should note. To start off, Valve has decided that Source's... er, source code... will be hosted on github, along with a new license agreement. Next, SDK tools like map editor Hammer will be downloaded alongside respective Source titles. This means the independent SDK Launcher is being phased out, and will be removed from the Steam Tools list on a future date. Finally, creators can make a small change to their mod's gameinfo.txt file, and gain Steam Pipe support for their project in the process. For the average user, however, all you need to know is that virtual reality mods can now be played on Mac and Linux platforms. Of course, you still need an Oculus Rift headset to make use of the feature, until Valve discovers some way to let you download those for free as well.